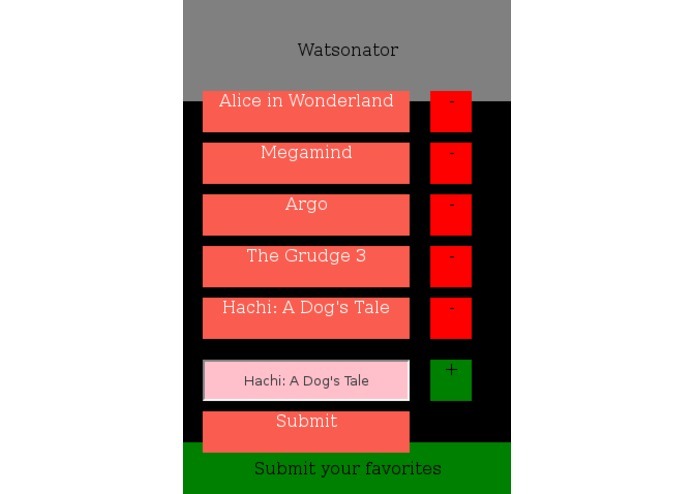 Watson will look at your favorite movies and predict 5 more movies you might like. I worked on the whole thing. Except for all the awesome open source codes.